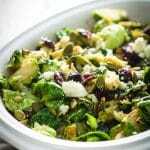 The Brussels Sprouts Salad Recipe Your Whole Family Will Love! Looking to serve a Brussels sprouts recipe everyone will love? 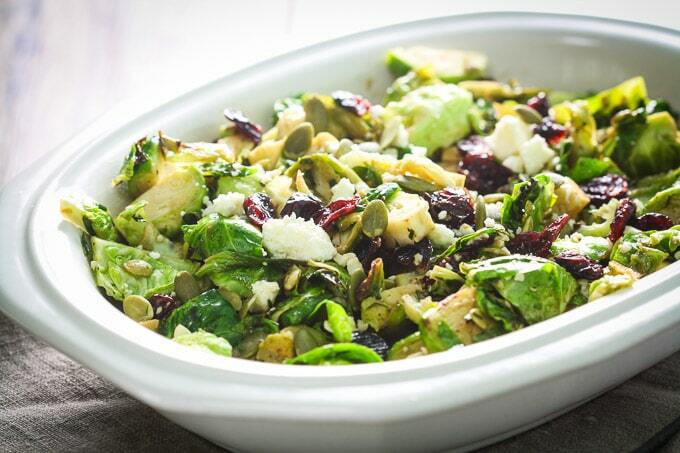 This easy Brussels Sprouts Salad recipe is it! One of the highest compliments a person can pay you if you’re a registered dietitian food blogger is when they admit that they “thought” they didn’t like a certain vegetable… until you cooked it for them. This has happened to me twice. Both times, the veggies being served were Brussels sprouts. Early in my food career when I was working at Cooking Light magazine, I made a Brussels sprouts gratin for Christmas. My dad swore he didn’t like Brussels sprouts, but being the easy-going guy that he is, he tried it. Reaction? He now admits he likes Brussels sprouts. Not so long ago, my mother in law was eating dinner with us and I served a variation of my Balsamic Roasted Brussels Sprouts and Apples recipe. I’m not ashamed to admit we have Brussels sprouts every week at my house. I find them to be simply too easy not to enjoy. 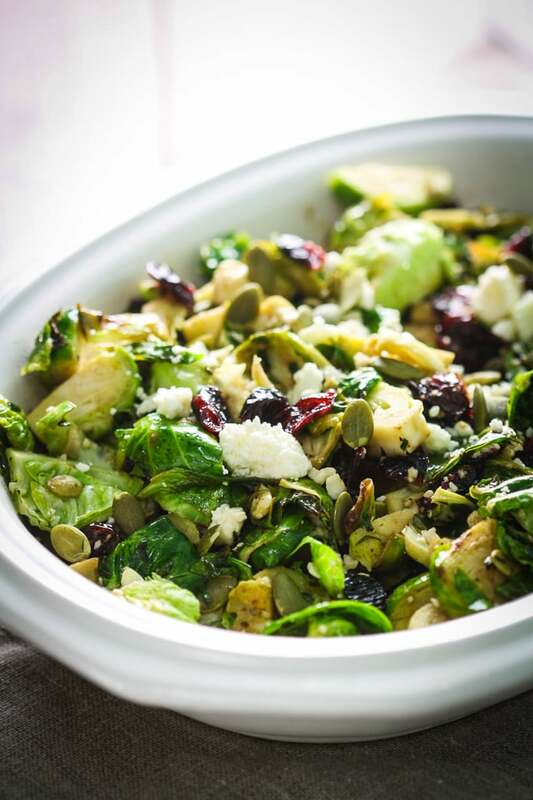 Sometimes, we go with the salad you see here today… other times, it’s this little simple Sauteed Brussels Sprouts recipe on deck. Cutting them in half to “let the bitter out.” A tip I learned back in those days at Cooking Light. Adding a little sweetness to whatever dish you’re preparing to counteract the bitter. It’s really not rocket science, but it is effective. You try it at your house and see if you are getting Brussels sprouts compliments, too! Heat oil over medium-high heat in a large skillet. Add Brussels sprouts and saute just until crisp-tender (about 3 to 5 minutes); add lemon juice and saute 1 minute. Transfer to mixing bowl; toss with remaining ingredients. May be served warm, at room temperature or cold.